A big deal in Duluth. 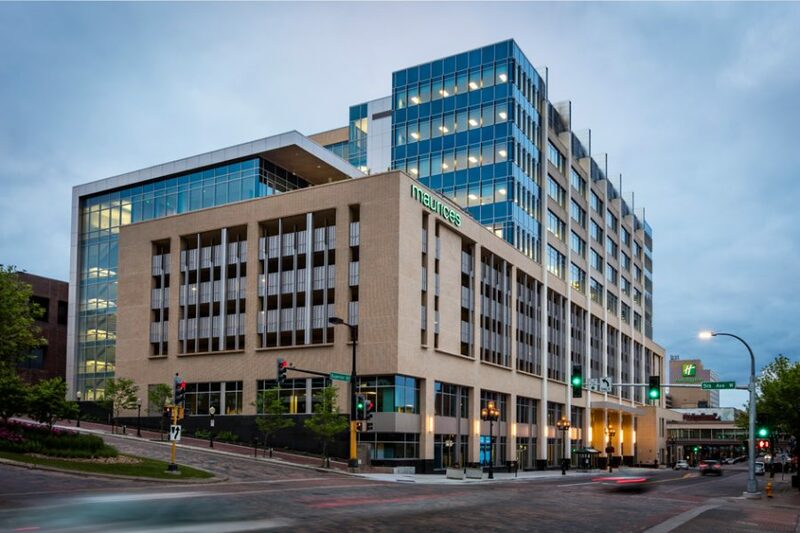 The new maurices headquarters stands 11 stories, is 200,000SF and takes up an entire city block therefore making it the largest downtown commercial development in Duluth’s history. 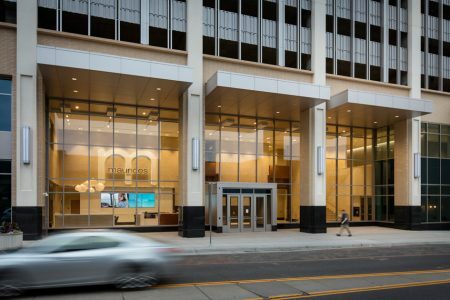 To align with its historic neighbors, our design for the new building featured an exterior of brick and precast concrete with substantial glass on the upper floors. 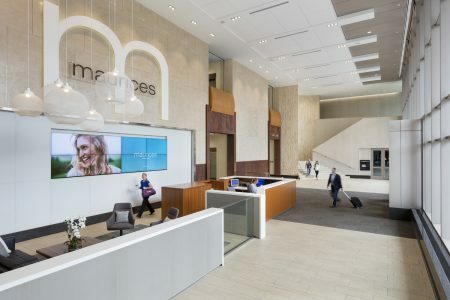 Prominent glass corners, a dramatic two-story grand entrance and custom night lighting ensure maurices will be an iconic gateway to the city. The women’s fashion retailer was founded in Duluth and has been an important employer for over 80 years. 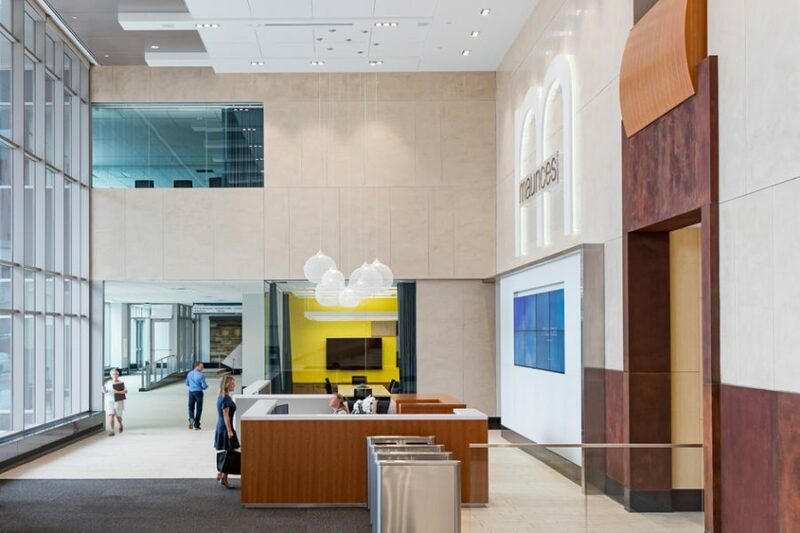 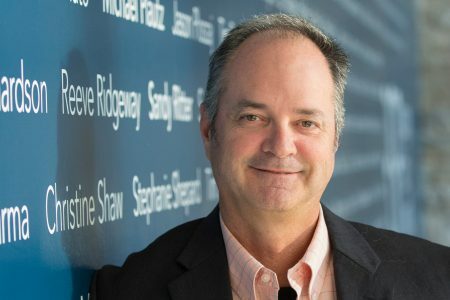 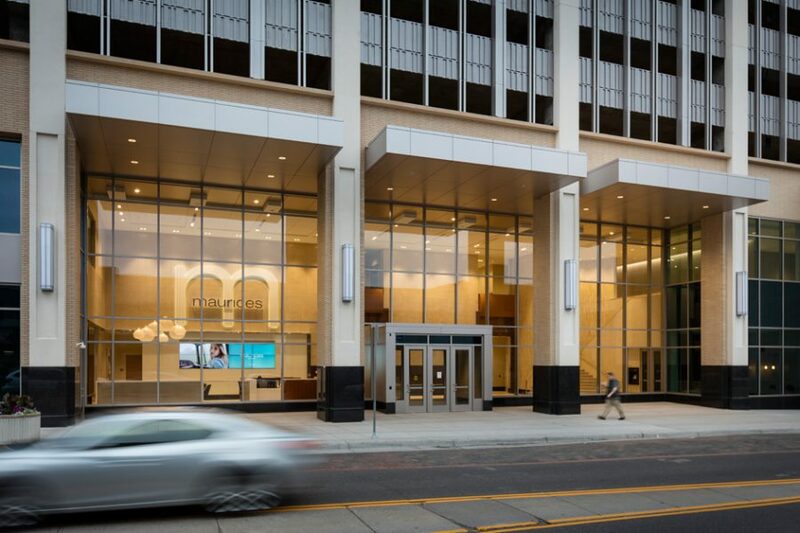 To mirror their brand, maurices wanted a contemporary headquarters building that fit into the fabric of downtown, extended the pedestrian vitality of the city’s main street and signaled economic growth and strength in the skyline. 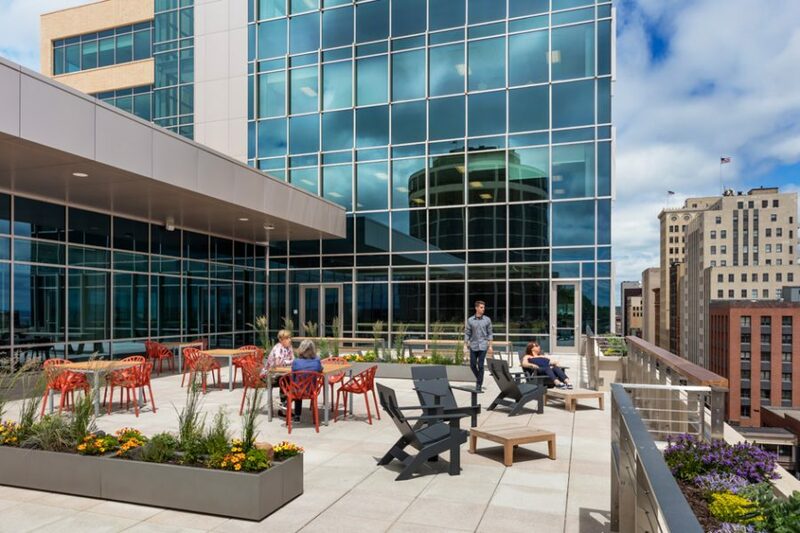 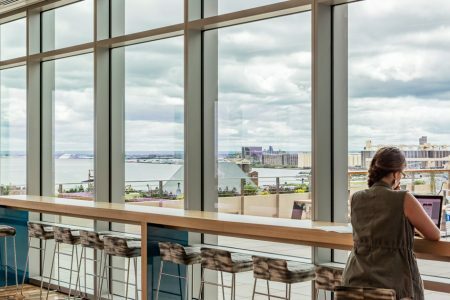 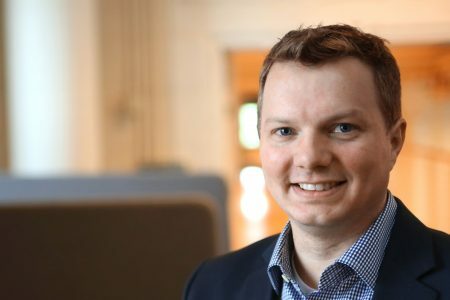 This new LEED Silver-certified headquarters will accommodate 600 associates and includes a seventh floor patio with dramatic views to Lake Superior.